The all new model Bont A-Two Road Shoes has been given an all new design. As with the Vaypor the new a-two now has a lowered carbon height around the toe box area. The cleat micro grid has been included to provide riders with the ability to fine tune their cleat placement. Low profile, micro adjustable buckles have been fitted. Buckles and ladders are fully replaceable, with 3 lengths of ladders available to ensure proper fit. Replaceable sole guards & buckles have been designed for maximum grip and are replaceable. Between the outer skin and the liner we add a material that is proprietary to Bont to stop the cycling shoe from stretching over time. This material has similar strength characteristics to Kevlar. The material is stitched to the outer skin and bonded to the liner so it can never move or be removed, it becomes part of the cycling shoes structure. This layer assits in pedalling efficiency by maintaining a supportive structure over the top of the foot in the upward part of the pedal stroke. The a-two utilises closed cell memory foam that will not retain water assisting in maintaining a lighter shoe during wet conditions as well as ensuring sweat which can begin to break down the durability of the shoe is not absorbed. The toe protector not only protects the front area of the shoe from wheel rub and impact, but also houses ventilation holes for improving airflow through the shoe. Bont's lateral forefoot support ensures neutral positioning of the forefoot and alleviates common issues associated with over pronation and supination. These issues often result in incorrect tracking of knees causing injuries along with hip and lower back pain. 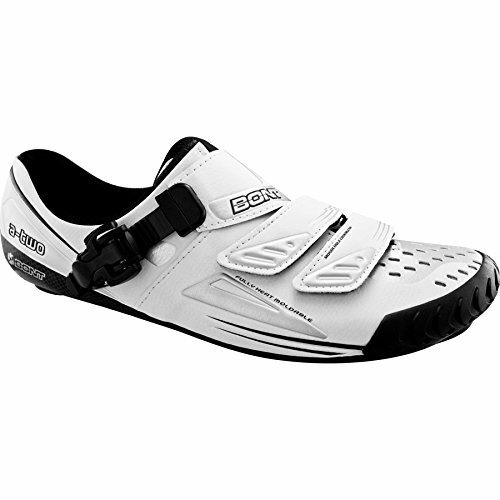 If you have any questions about this product by BONT, contact us by completing and submitting the form below. If you are looking for a specif part number, please include it with your message.